On the morning of Saturday October 24th bombers disguised as Shia mourners detonated themselves at a Shia gathering in the Dhaka, the capital city of Bangladesh. The bomb which was detonated in Hossaini Dalan area of Old Dhaka killed a boy and injured over 100 others. Shia gatherers were preparing for a procession called Tajia Michhil on Nazimuddin Road. There were five bombers and three of the five bombs were detonated. No group has claimed responsibility but security cameras were present at the gathering so an investigation is currently ongoing to identify the assailants and establish the source of this violence. Shia Rights Watch condemns the horrific actions taken by these assailants against innocent Shia Muslims at a solem event. Bangladesh and Indonesia are not countries were anti-Shiism gets global attention but it is important that these actions are condemned in order that the do not target other communities of Shia. The commemoration of Ashura was banned in the town of Bogor in West Java. Mayor Bima Arya of Bogor defended his decision to ban the commemoration by saying this was necessary to “keep order and security in the city”. This decision has come under fire from human rights groups stating that this is a violation of the religious expression of Shia Muslims. In addition to this prohibition, a group in West Java called the West Java Ahlus Sunnah Defenders (PAS) spread banners around the town stating “Shia is a threat to NKRI (Unitary Nation of the Republic of Indonesia)”. 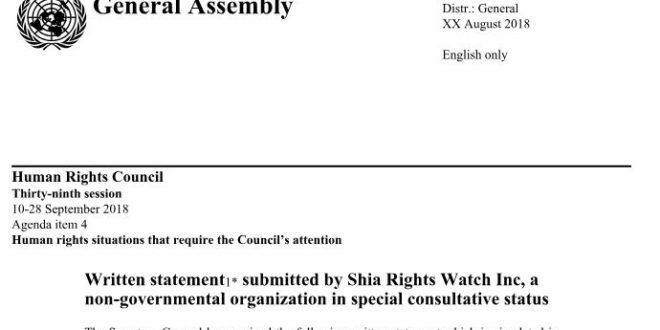 Shia Rights Watch condemns the actions of both the Bogor town administration for banning the practice of Ashura and PAS for the dissemination of anti-Shia rhetoric. It is important that a nation as diverse as Indonesia work to promote tolerance and understanding. On Sunday October 25th Saudi Arabia’s Supreme Court rejected an appeal against the death against Sheikh Nimr al-Nimr whose involvement in pro-democracy protests led to his arrest in 2012. This comes after a long trial that has involved numerous irregularities and an outcry from the international community. At this point, the only domestic remedy for Sheikh Nimr now rests with King Salman who has the authority to issue a pardon. Sheikh Nimr and six other Shia, including his nephew Ali al-Nimr, are scheduled to be executed and their bodies will be put on public display. International outcry over these death sentences have come from both the East and the West. British Prime Minister David Cameron has worked to intervene in Ali al-Nimr’s case but the kingdom remains defiant. Shia Rights Watch calls on the international community to urge that King Salman pardon and release Sheikh Nimr, Ali Nimr, and all prisoners of conscience immediately. 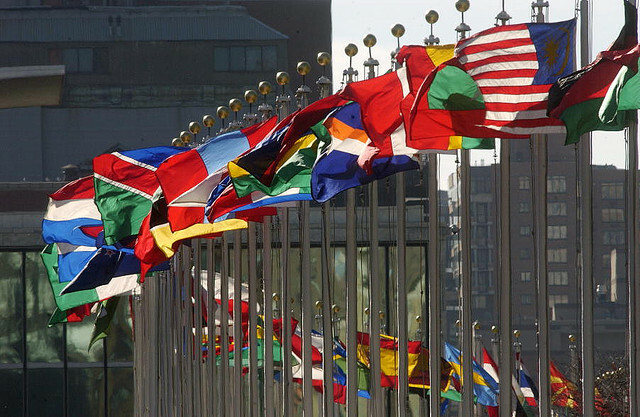 The international community cannot stand by while a country with a seat on the UN Human Rights Council completely disregards due process and the rule of law in order to punish religious minorities that demand equal rights.